1. 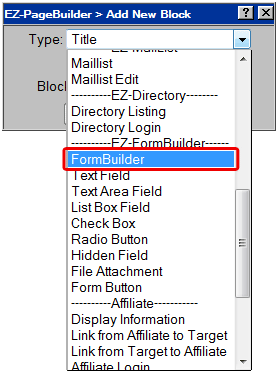 To start a new form, add a new block, select FormBuilder, and click Next Step. 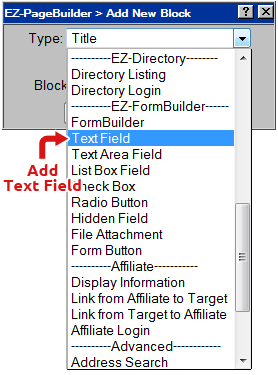 This form will be sent to your email address, so add a subject and message. 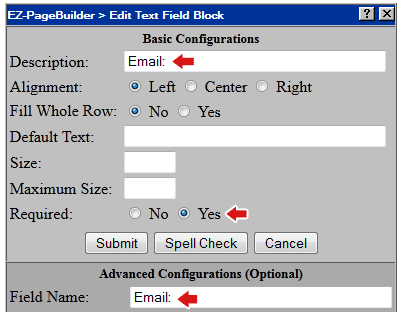 In the example below, the emails subject would be "Someone filled out your contact form". The message would be the first line in the email. Click Submit. 4. 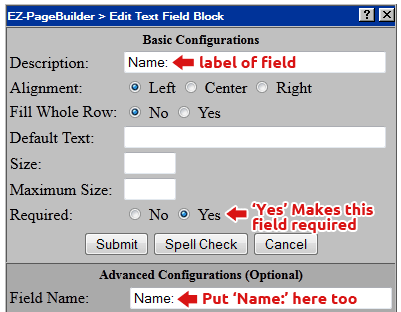 Choose Text Field, and hit Next Step. 6. 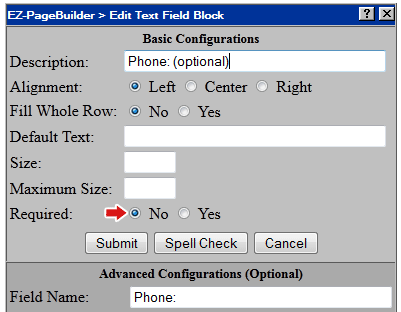 Add another Text Field Block. 7. 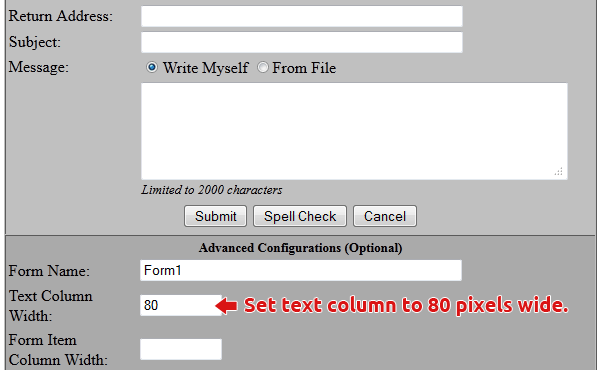 Repeat the process for adding a Name, but this time use "Email"
9. Add Phone Number. We are going to make this one optional. This is often a good idea, because forcing people give out too much personal information will often prevent them from filling out the form at all. 12. 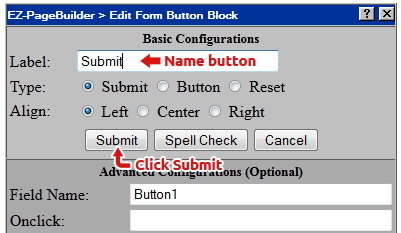 Type "Submit" next to Label. Then click submit. Your form is now functional. However there is an alignment issue. 13. 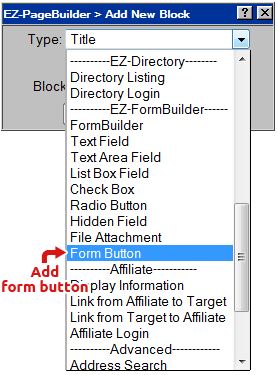 Click the Edit Icon on the Form Manager. The fields are now align properly.